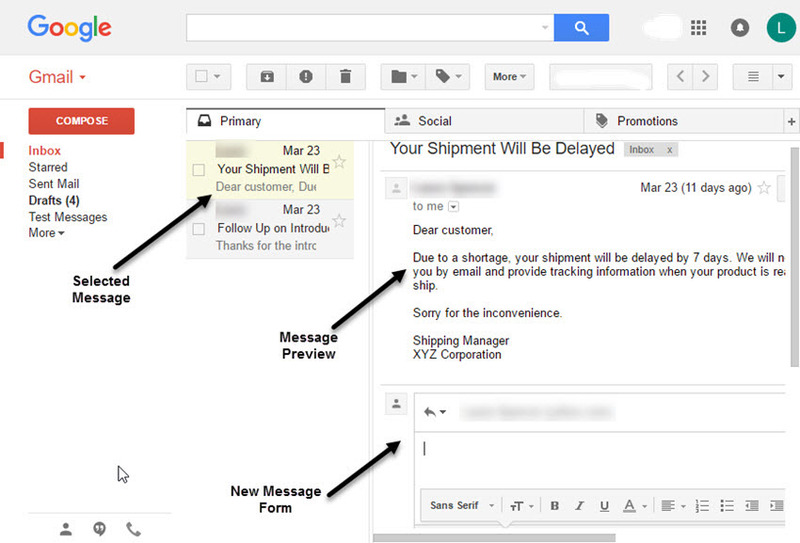 Gmail Labs lets you try new Gmail features as they become available. You can find what is new in Gmail and add the latest capabilities to Gmail—even as Gmail tests them. Many Gmail users don't really make full use of Gmail's latest features. Some don't even know that Gmail labs are available to expand Gmail's functionality. 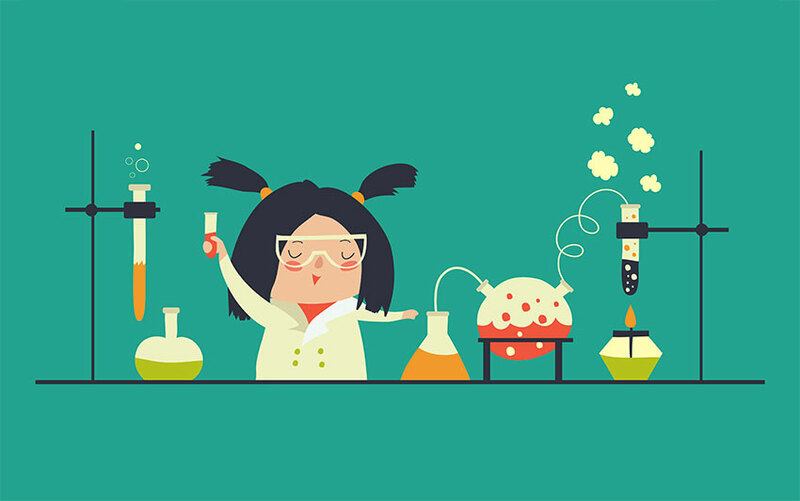 In this article, we explain what Gmail Labs is and how to use it. We also review some of the best Gmail Labs that you can use right away to start improving your email workflow. What Is Gmail Labs and Where Can I Find It? Gmail Labs allows ordinary Gmail users to access and try some of Gmail's experimental features before they are released to all users. It's a great way to add new functionality to your inbox as well as a way to find out what is new in Gmail. Many popular Gmail features such as the Gmail Task List and the Undo Send feature started as Gmail Labs. Since Gmail Labs features are experimental, it's important to remember that they could be changed or discontinued at any time. Still, that's no reason not to use some of the most helpful Gmail Labs tools. Note: Gmail Labs is often confused with Google Labs, which was a web page that introduced experimental Google features. Actually, they are two different things. According to the official Google Blog, Google Labs was shut down in 2011. However, as of the time of publication, Gmail Labs continues to be a place where users can find new Gmail features. To use Gmail Labs, first you need to be able to find them. Then, you need to know how to enable the Gmail Lab features that you'd like to try out. Wondering where is Google Labs located? 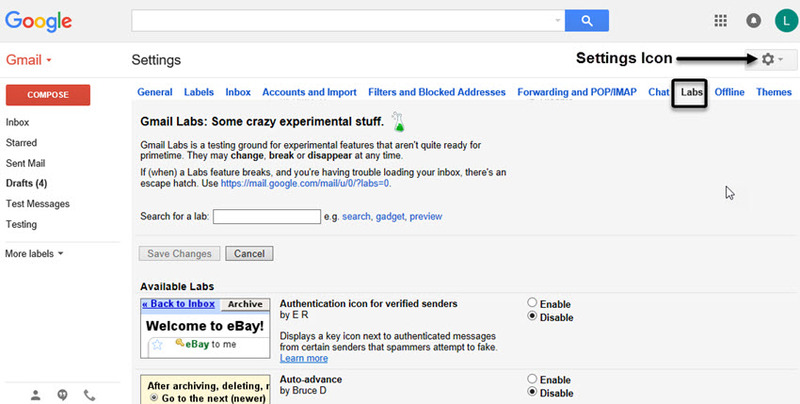 To find Gmail Labs, click on the Settings icon on the right of your Gmail Inbox. Select the Settings option from the drop-down menu. Click the Labs tab. You'll see a list of enabled and available labs. To enable a Google Gmail Lab feature, click the Enable toggle button to the right of the lab. Scroll to the bottom of the screen and click the Save Changes button. Disable active labs by clicking the Disable toggle button and clicking the Save Changes button. This section lists some of the most useful Google Gmail Labs for you to consider adding to your Gmail inbox. I'll briefly explain what each lab does and why it's useful. This feature could be quite helpful if you need to process a lot of messages. Select the toggle next to the Auto-advance option of your choice and click the Save Changes button at the bottom of the screen. The Auto-advance feature is now active. You will now be able to quickly move through your messages as you process them. 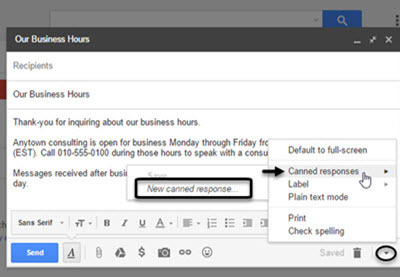 Gmail Labs Canned Responses feature allows you to create and save email templates. If you have certain types of emails that you send often, having a template available can be a big time saver. The average person can spend several hours composing a new email. With Canned Responses, you can reduce that time dramatically by using email templates you create and save in advance. We've written several tutorials on the Canned Responses feature. The first tutorial below explains how to use the feature. The second provides you with some templates that you can customize and use as the basis for making your own canned responses. You don't like the standard keyboard shortcuts available for Gmail? No problem. 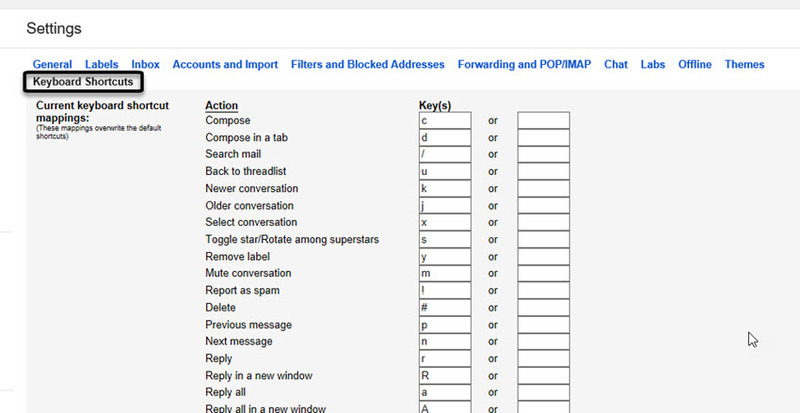 This Google Gmail Labs feature allows you to create your own keyboard shortcuts. Once you enable this lab on the Labs tab, a new tab is available on the Settings screen—the Keyboard Shortcuts tab. Type your desired shortcut into the chart on the tab. When you're done, click the Save Changes button at the bottom of the screen. Caution: Defining your own keyboard shortcuts overwrites the standard keyboard shortcuts. You can use the Restore Defaults link at the bottom of the screen to return to the standard keyboard shortcuts, but this will overwrite any custom keyboard shortcuts you have created. Keyboard shortcuts can take a little time to learn. Once learned, they can be big timesavers. After you create the keyboard shortcuts you need, it's best to stick with them. The Google Calendar Gadget lab gives you a peek at your Google Calendar from within Gmail. If you use Gmail to schedule meetings, this can be quite helpful. Once the lab is enabled, click the three dots in the lower left corner of your inbox. The words "Google Calendar" should appear in your left column. Click the plus symbol (+) to the right of the words to display the calendar gadget. Use the scroll bar at the right of the gadget to scroll through your Google Calendar. Often, email messages contain meeting requests and event invites. 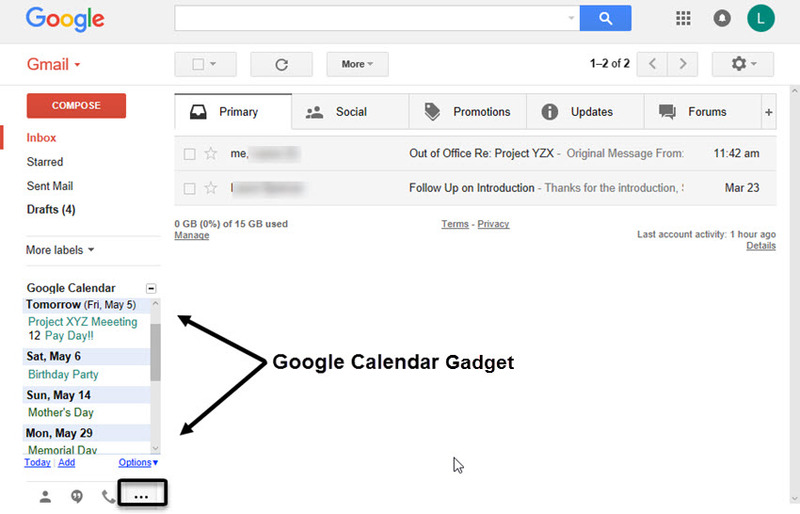 With the Google Calendar gadget, you don't have to leave your Gmail inbox to check your schedule. Did you ever wish you could automatically keep all messages from the same sender together in your inbox? For example, what if you could make sure that all the messages from your boss went into a separate inbox and all the messages from your family went into another? The good news is that with Gmail Labs Multiple Inboxes feature you can do exactly that. Start by disabling the current inbox tab system. (The default is to have tabs for Primary, Social, Promotions, Updates, and Forums.) To do this, click the Inbox tab on the Settings screen. Uncheck the boxes next to all the tabs except for the Primary tab. Click the Save Changes button at the bottom of the screen. Next, enable the Multiple Inboxes lab. Open the Gmail Labs tab from the Settings screen. Find the Multiple Inboxes lab. Click the Enable toggle button and then the Save Changes button. Finally, define your inboxes. Return to the Settings screen where you'll notice a new Multiple inboxes tab. Click the Multiple inboxes tab. The Current searches for the multiple inboxes screen appears. Use this screen to define the criteria for each inbox you want to define. Under the Search query column, type the defining criteria. Under the Panel title column, type the name of each inbox. You can also define how the extra panels for the multiple inboxes appear. In this instance, I choose for the multiple inboxes to appear to the right of the primary inbox. When you have finished defining your multiple inboxes, click the Save Changes button at the bottom of the screen. Your inbox is now rearranged according to how you defined your multiple inboxes. To see a message in Gmail, normally you must click on the message to open it. To see the next message, you must click the Back to inbox icon and then click on that message to open it. If you receive a lot of email, or if you're trying to declutter your email inbox, those clicks add extra time to the task. The Gmail Preview Pane lab gives you an easier way. Once you've enabled the lab, you see a preview of a selected email's contents without opening it. Use the up and down arrow keys to move quickly through your messages, getting a preview of the contents of each message without opening it. Choosing and using the right email labs for your needs can help you to save time and become more productive. Gmail Labs can be a great way to get more from your Gmailemail service. In this article, we've explored some helpful Gmail lab features. Learn what's new in Gmail and explore experimental Google Gmail Labs further. Try setting up a few Gmail Labs above and see how they work for you. Let's us know in the comments which ones helped improve your workflow best.